If you’re wondering where to eat in Henderson for that special evening out or after a long day at work in Las Vegas, have no fear! We’ve rounded up our top picks for the best places to get a bite to eat in town, so you can concentrate on more important things, like which new Toyota you’ll take home with you. Todd’s Unique Dining, a five-time Trip Advisor “Hall of Fame” winner, dishes up surprise treats every night. Their ever-changing menu includes everything from soups, to steaks, and even fresh seafood — all prepared to perfection. Hailed as one of the finest Kosher delis in the Boulder City area, Weiss Deli and Bakery specializes in authentic New York-style deli favorites like thickly sliced pork rolls and delectable chicken soups, as well as tasty fritters, challah bread, and more. If you’re in the mood for authentic Thai food, then Penn’s Thai House could be just the stop. Everything on the menu is made from scratch, including the slow-cooked Thai barbecue chicken and delicious green curry with shrimp. The Great Greek Mediterranean Grill is an authentic Greek grill not far from Pahrump! Sample authentic favorites like gyros, lamb rice bowls, souvlaki, falafel, mezze, baklava, and so much more. And, with prices lower than many fast food joints, you’ll fill up and have plenty left in your pocket, too. Authentic Korean barbecue is accessible and affordable at Gen Korean BBQ — a chic and modern eatery. Sample favorites like beef brisket, pork belly, and chicken, or go bold with the house special baby octopus or spicy tofu stew. There are no wrong choices here! 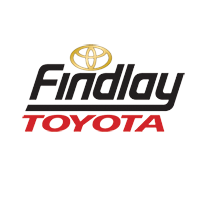 Learn More About Henderson from Findlay Toyota! Here at Findlay Toyota, we’re all about bringing our Mesquite area neighbors the information they need to get more from every day. Schedule a test drive near with the Toyota you’ve had your eye on and, when you’re done, explore our recommendations for Mesquite buffets, Henderson pizza joints, or see where you can get a tasty breakfast in Boulder City.